After eight months of operating out of a temporary trailer, a permanent home has finally been found for the former Ellisburg Shopping Center post office. 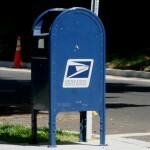 The United States Postal Service has selected the location of 600 N. Kings Highway as the preferred new home for the post office, according to Richard Hancock, a real estate specialist for the postal service. The location is less than one mile away from the former location in the Ellisburg Shopping Center. “It’s going to be on the end cap of the CVS shopping center,” Hancock said. In April, the post office moved to a temporary trailer near the Playdrome bowling alley after it was unable to renew its lease with Federal Realty Investment Trust, the owners of the Ellisburg Shopping Center. In an effort to find a new home for the post office, the postal service came up with a list of three potential locations. The other locations under consideration were a vacant office building on Haddonfield Road near the Garden State Park shopping center and the Barclay Farm Shopping Center on Route 70. Paul Stridick, director of community development for the township, said during the caucus portion of last week’s council meeting, the postal service had informed the township of its decision to select 600 N. Kings Highway. Council has been issuing the post office a temporary use permit to operate out of the trailer on a monthly basis. The selected location was the one the township preferred in part due to its proximity to the former location. The location near Barclay Farm Shopping Center was ruled out near the beginning of the process since it would not reside in the 08002 zip code. There is no timeline for when the post office will move from its temporary location to its new home.